BRAND NEW AND AVAILABLE. CALL TODAY! Located in the heart of vibrant Magnolia, a family friendly suburb west of Seattle. You will find a neighborhood of revitalized historic homes and stunning new homes showing off their personality and style, like this new contemporary home. Featuring sleek, hip, new interior designs and multiple roof top decks. Upper deck has extra support for your future hot tub too! Fantastic indoor and outdoor entertaining areas and a 2 car garage for extra storage. Take a look at the photo gallery. Better yet, make an appointment to see this beauty today! As the saying goes, location is paramount, and you’ll quickly discover that Eugene Sherman homes are ideally located in Seattle’s most desirable neighborhoods. However, if you’re a stickler for the details (and we hope you are), you’ll also delight in our exceptional focus on thoughtful design, quality construction, and sophisticated fixture and finish selections. Each home individually designed and constructed per home site to luxury standards. 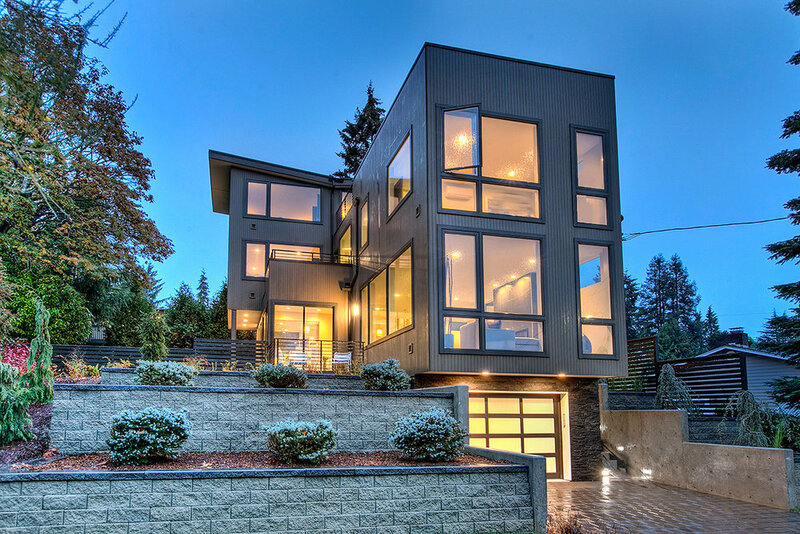 Eugene Sherman is a Seattle-based company specializing in premier residential development. Our team of professionals displays the highest attention to detail, from the foundation to the final touches. You'll find that each project exceeds industry standards for materials and workmanship, and reflects an unyielding pursuit of excellence. When you purchase a Eugene Sherman home, you can always expect more than just a great location. Located in the heart of vibrant Wallingford, a family friendly suburb of Seattle, just north of Lake Union and near the famous Green Lake neighborhood. SORRY WE MISSED YOU ON THESE HOMES, BUT WE HAVE MANY MORE COMING SOON! On a perch nestled into North Beach Park sits your dream. Modern finishes & thoughtful design.